WSC,ltd. hosted the Luka Modrić charity event. 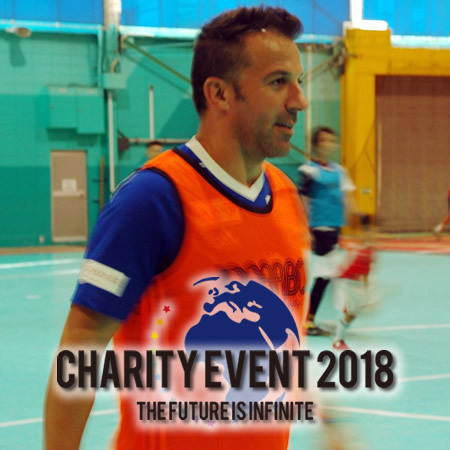 Charity event "Luca Modricch charity event 2018 WE ARE THE FUTURE" to support "children fighting childhood cancer" with Luka Modricita (belonging to Real Madrid) and a charity event sponsor and a soccer dot com We held a charity event at FISCO Futsal Arena on September 22 (Saturday). This event led the Croatian delegate to the World Cup (World Cup) Russia Tournament second place and Luca Modrić of Real Madrid, also known as a famous singer, hopes to save children fighting childhood cancer It is an event that came up with the proposal that we would like to offer uniforms worn in the World Cup quarter-finals for England against Japan for charity. Former football Italian national team Alessandro Del Piero, former Grand Sumo wrestler Yokozuna Asasyoryu as a special guest, Hiroshi Isogai and Teruo Iwamoto of former football Japan representative were welcomed to the guest. After having a soccer class with the children, I divided the teams with Del Piero FC and AsasyoryuFC and played with the children. In addition, this time the uniforms offered for Charity auction from each player, including Modriciti, will launch a dedicated site and plan to hold a charity auction. I would like to thank a lot of children, including Alessandro del Piero, Mr. Blue Dragon, Mr. Hiroko Isogai and Mr. Teruo Iwamoto who participated today.